Miranda: “Florals? For spring? Ground breaking.” She replies in her usual, sarcastically-irritated and far-from- amused voice. 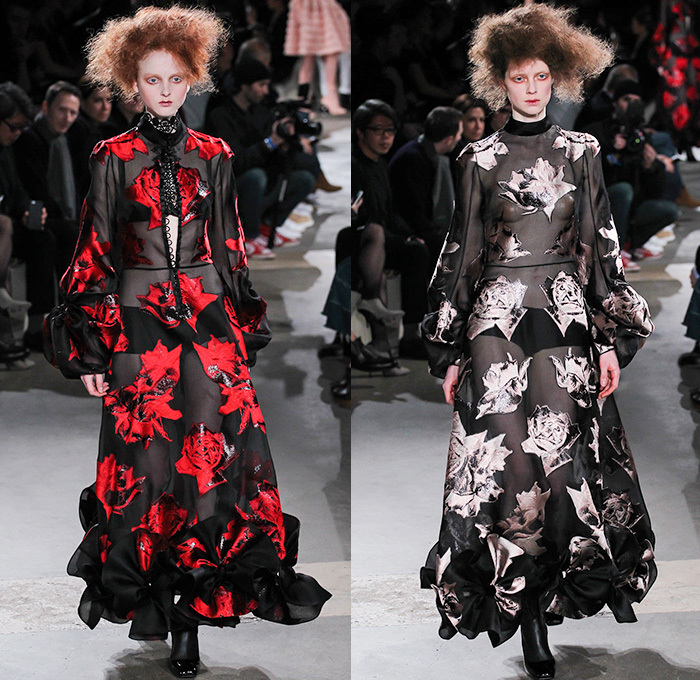 It’s just so typical and expected of the fashion world to do flowers in spring and trees and leaves in the fall. 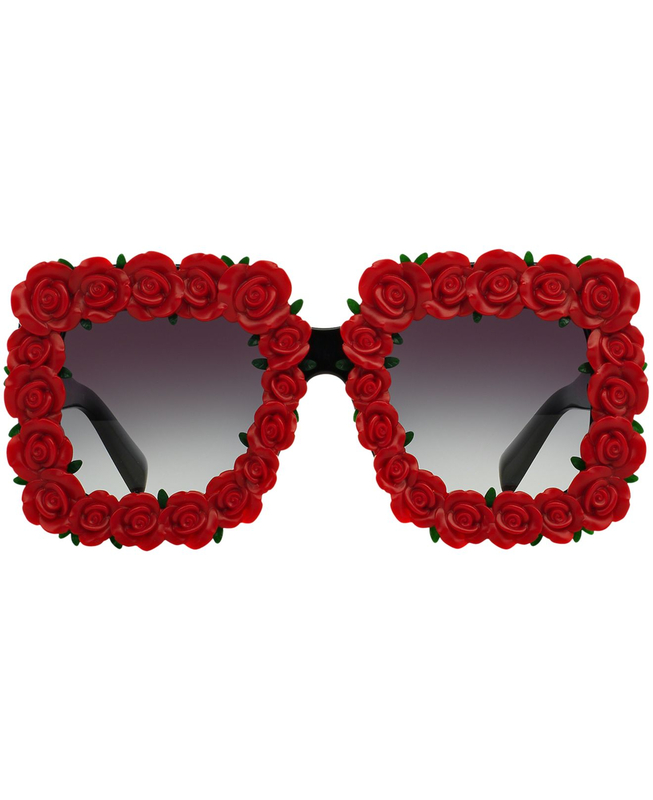 However, this season, there’s a new twist with roses for fall. Although it’s not completely groundbreaking, it is a fresh take on the “love” flower. A single red rose has always been symbolic for expressing deep affection to someone. It’s been used in poems and writings for centuries that pertain to emotions (remember Bette Midler’s song The Rose?). And a multitude of roses? Well…that’s just pure bliss! The second pic is of Roadkill Girl Sydney Beaver in our House of Fame dress, Jeffrey Campbell glittered Mary Jane shoes and our rose stud earrings. We surrounded her with all of our rose hair clips for a dramatic statement. 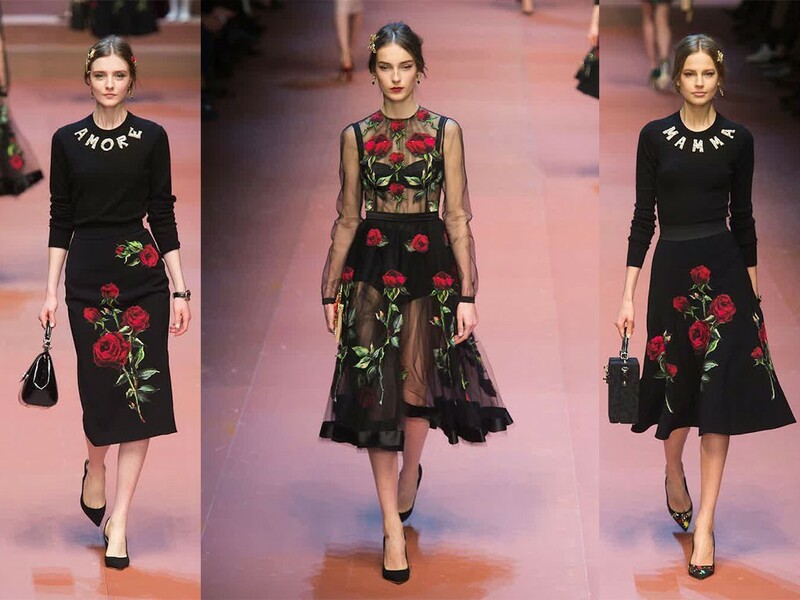 The rest of the pics (including the rose-encrusted sunglasses) are from the Dolce and Gabbana runway show. Look for heavier weighted fabrics like wool, faux-fur, velvet and paper-thin leather parading the rose. Add sheer overlays and lace layering pieces for ultra-feminine style. 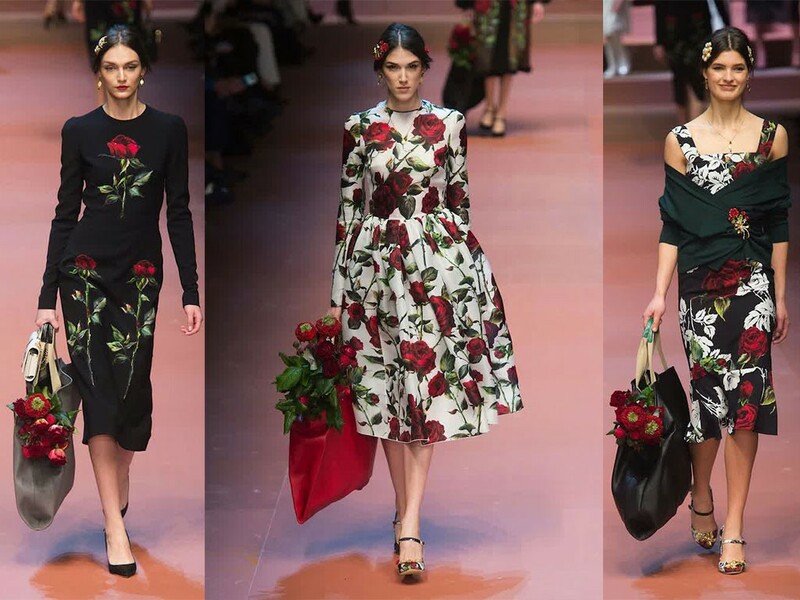 And just because it’s not spring, doesn’t mean you can’t express yourself in a deeply emotional and purely fashionable way by wearing a rose (or twelve).